Enjoy a memorable experience in the heart of wine country. For an enhanced tasting, book a 40-minute or 60-minute seated tasting in our new Heritage Tasting Room. Or try a tasting flight at the bars in the main tasting room. Then purchase wine to take home. Dine at OLiV Restaurant. Or book a Saturday hands-on cooking class at the Wine Country Cooking School. Our quality starts in the vineyard. We are commited to producing premium wines made from grapes grown in the Niagara Peninsula. 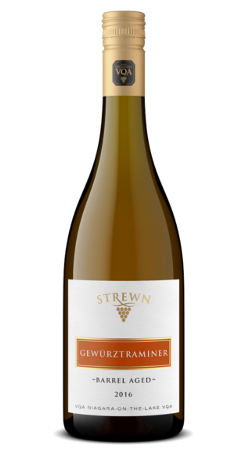 Most premium and reserve red, white and dessert wines (including icewine) are available exclusively at our Strewn wine boutique in Niagara-on-the-Lake and through the online wine store. The 2019-2020 year of the exclusive LIMITED Wine Club is now open for membership applications. Join now for immediate access to previous member-only wines. Choose the Wine Club that suits your style! Come visit our scenic property in Niagara-on-the-Lake for the full winery experience, then purchase and enjoy our wines at home. 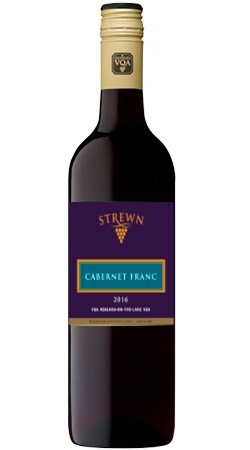 Discover for yourself the quality and commitment to 'terroir' that defines Strewn. Keep up to date with what's happening at the winery. Learn about new releases before they hit the shelves, and take advantage of limited offers and upcoming events. Plus receive our Sips & Bites e-newsletter (with wine tips, wine & food pairing ideas and recipes). Your privacy is important to us. We will never sell your information and you may safe unsubscribe at anytime.